I wanted to purchase a keyboard for my PSP for a long while. Only several days ago I actually did it. I was surprised at how simple it is to connect and use it. 2. All is a beta/alpha software, and misbehaves accordingly, on occasions. Since I was confused myself, I will clear some of the fog that surrounds the keyboard drivers – There are currently two major keyboard software plugins. One of them is “driver” (plugin) based, which gets added to the flash, which is called pikey (pi like the number). 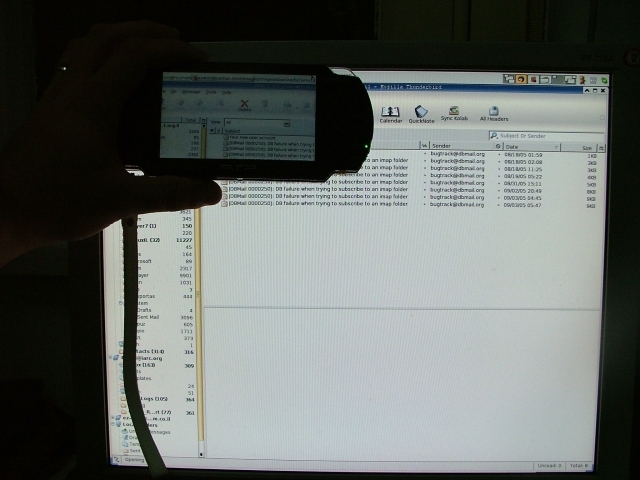 The 2nd one is implemented inside specific homebrew software, and uses the PSP IR Library. The pikey will allow using the keyboard at all times, and the interface is the same as the normal input interface, but very fast. The PSP IR Lib will work only within Homebrew apps which include the library, and will not work outside of it. It will supply, however, a more native keyboard-like interface, and respond faster and better when working. Both systems are not compatible. I discovered it the hard way, but no harm was done (had to take the battery out several times). I was able to download pikey from N00bz! website, including instructions. I was able to download IR keyboard capable software (aka, IR KB Lib) from ZX-81’s website. From there I have downloaded an SSH client (PSPSSH V 1.09), etc. Using the installer, install the pikey, and set it to apply to both game mode and VSH. Reboot the PSP to the recovery console (Start it with right trigger pressed) and you will be able to activate both plugins in the “plugins” menu. Check that you can use your keyboard with the test utility (also supplied with pikey), and reboot again to the recovery console, where you should disable the “game mode” plugin. You are now able to use the keyboard inside the XMB (the interface) and in the browser. You will be able to use the IR Lib interface in PSPSSH, and other similar software. My PSP – Oh my Portabale PlayStation! I pause for a small unrelated island of happiness. I’ve bought PSP few month ago, and due to some issues with minor language bugs, I’ve upgraded its firmware, through its built-in interface, to a newer level. I had 1.50, and I’ve upgraded to 1.52. It was a major mistake. It seems there was (and still is) no known buffer overrun in this firmware version, which prevents the running of legitimate pieces of code on the PSP. I’ve searched for either some exploit which will allow running code on the machine, or for firmware downgrader. Searched on the net, of course. There was nothing. 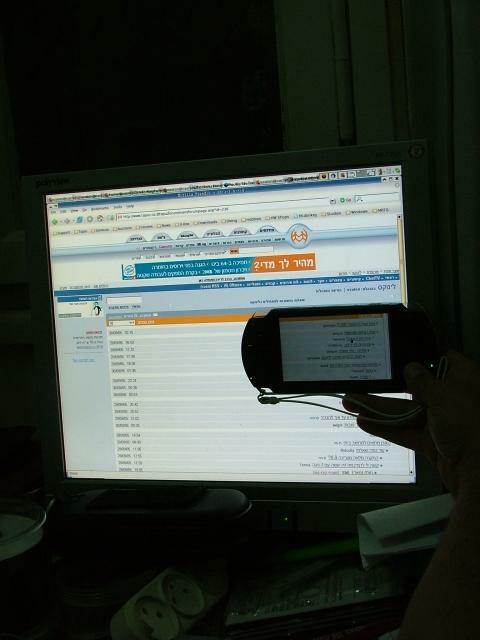 Version 2.0 of the PSP’s firmware has risen, and still – no buffer overrun was found. Now it has – on version 2.0, a buffer overrun was found, which enabled the process of downgrading the system’s firmware to an older version, namely, 1.50. I’ve upgraded to 2.0, and followed these instructions. Besides, using this site for updates proves to just hit the spot – I get all the info and homebrew applications I want. After performing the so longed for downgrade, I am now able to run homebrew applications and games, and I enjoy it much.